This customer had a tractor shed with a wooden sliding barn door. He didn't want them removed completely; after all, old wooden doors can look quite attractive. 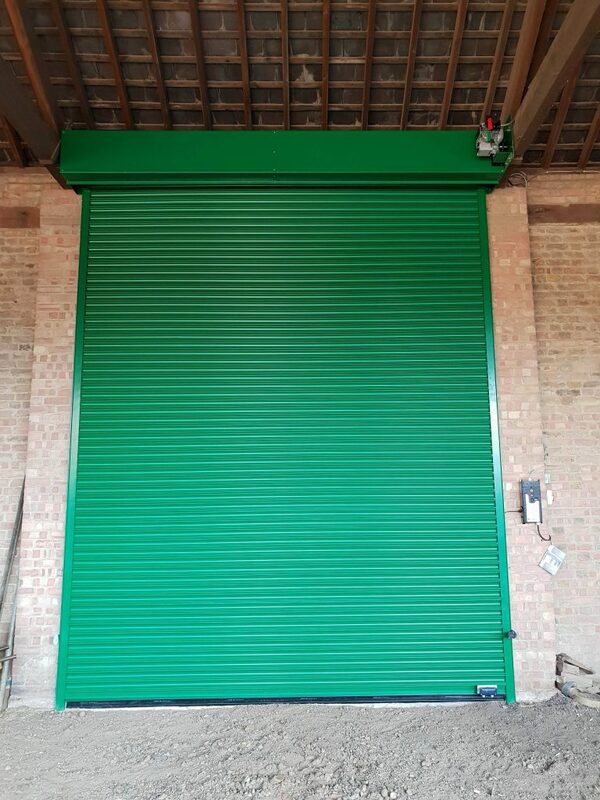 So, we pushed them back out of the way and installed a roller shutter barn door. 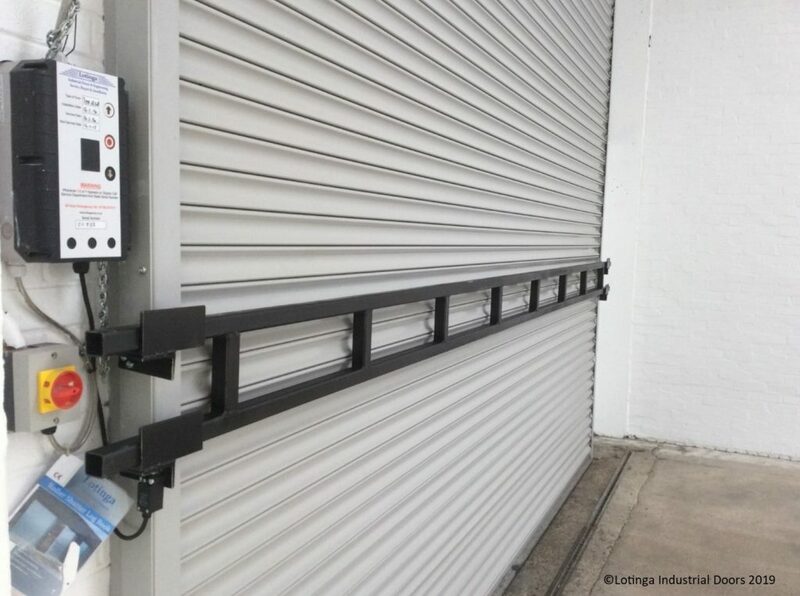 Roller Shutters are a good form of security when housing farm machinery. Additional security devices can be added to enhance the robustness of the door; for example, a Ram Raid Barrier. 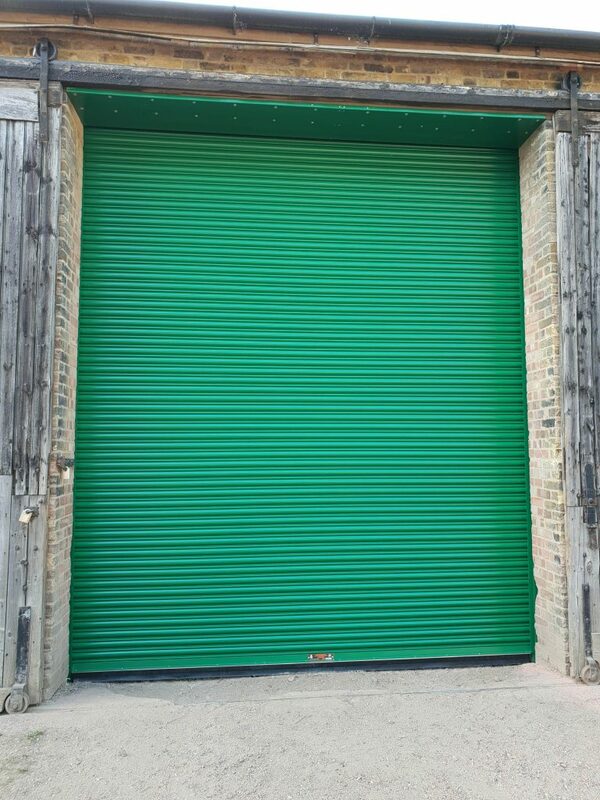 Why Choose A Roller Shutter Door? 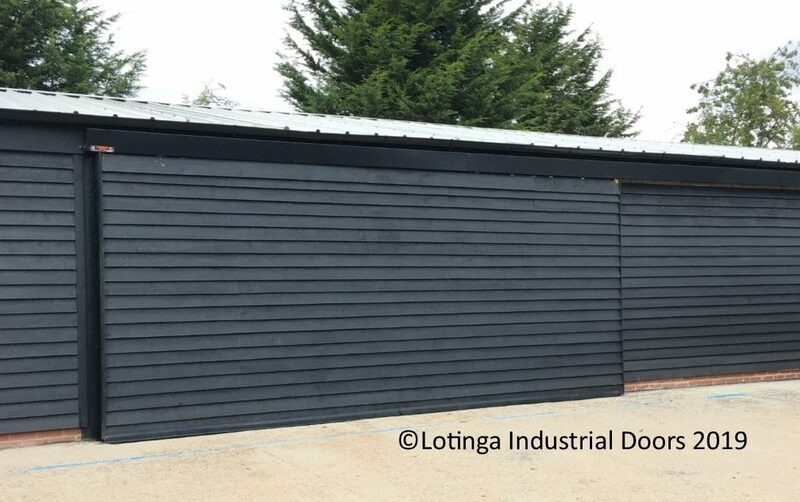 A Roller Shutter takes up less space than the traditional type of sliding barn door. Furthermore, it provides a great solution if overhead space is an issue. Because this opening would be heavily used, the door was made fully automatic; therefore, improving traffic flow of the farm machinery and also saving the farmer valuable time. However, there are many other types of operation available. Click on our Accessories page for further details; alternatively, call us for advice. In addition, Lotinga are manufacturers; therefore, turnaround for repairs and replacements can be arranged quickly. Sometimes repairs can be carried out the next day or even, the same day, depending on the location. 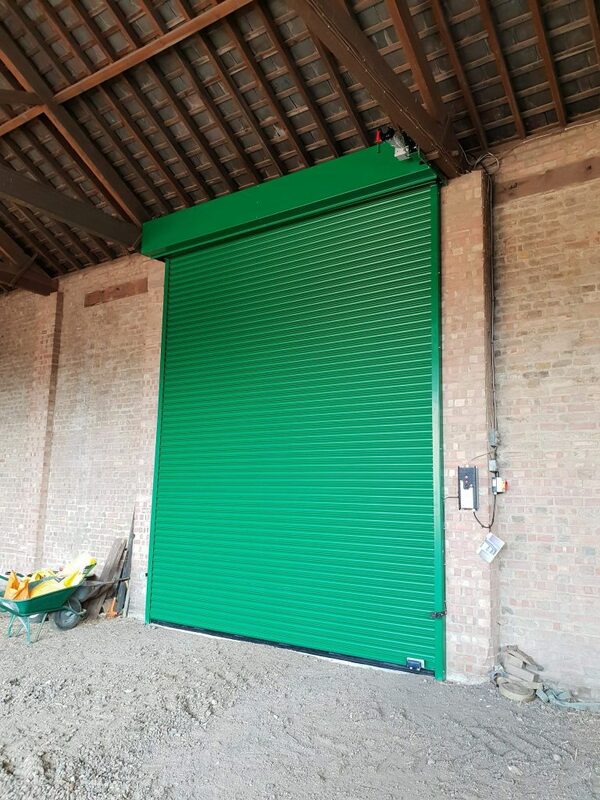 Roller Shutters are not the only type of door suitable for barns. Below are some other examples. A folding concertina door (left) and a Single Sliding Barn Door (right). 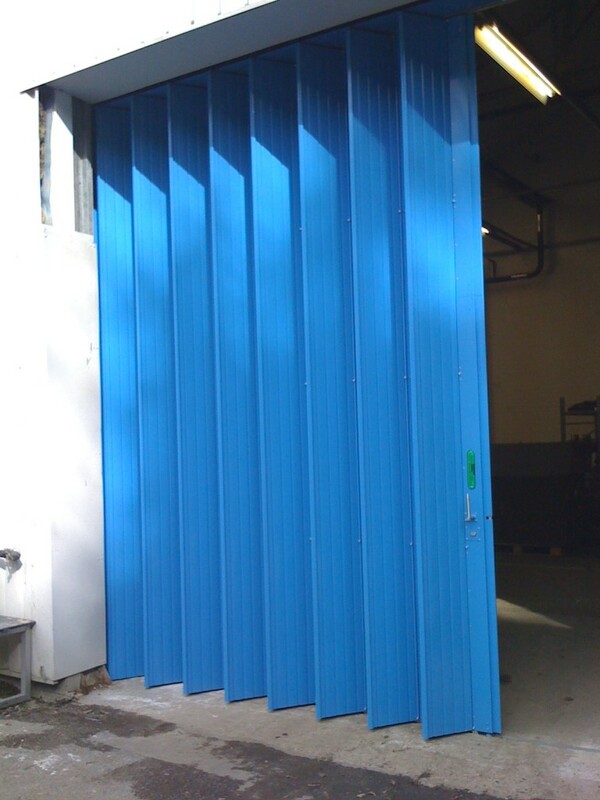 Health and Safety Law states an industrial door must be maintained annually. Visit our Blog Page to learn about your legal obligations. In order to help customers keep within the law; and also, help to ensure the safety of personnel operating these types of doors, we offer a Service Agreement Facility. Visit our Discount Page to further information; alternatively, call us for a quotation. Want advice as to what type of door would be most suitable for your barn?